These presentation slides 40794 are complete compatible with Google Slides. Simple download PPTX and open the template in Google Slides. 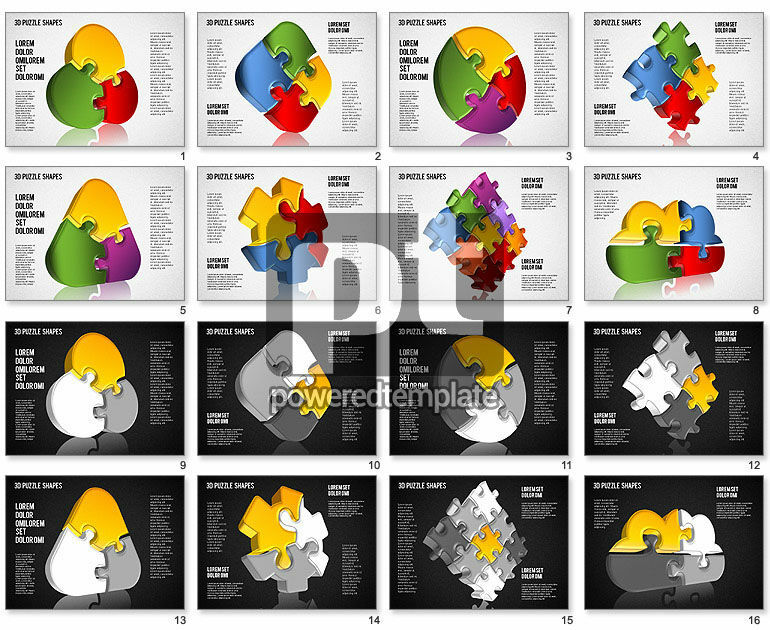 Meet this incredibly nice and colorful 3D Puzzle Shapes template. It is created in a positive style with different colorful puzzle shapes which are connected into various forms, like circles, cogwheels and clouds. This fabulous theme will perfectly suit multiple presentations concerning connections, strategies, step by step actions and so on. Use it to show your data or other information.